Sport In Action (SIA) is a non-governmental organisation (NGO) whose purpose is to improve people’s quality of life through sport and recreational activities. Founded in 1998, SIA was the first Zambian sports NGO and has worked with the Volunteer Zambia programme since it began in 2004. UK Sport has a clear remit at the ‘top end’ of Britain’s sporting pathway, investing in initiatives nationally and internationally. UK Sport’s initial involvement in the International Development through Excellence and Leadership in Sport (IDEALS) Project aimed to increase the employability of UK Students and their international counterparts through a peer to peer sport-based programme that developed their sport, leadership and life skills. IDEALS was established as a high quality, progressive and coordinated sports leadership development exchange programme for young people aged 20 and above. UK Sport continue to be involved with the Volunteer Zambia programme in an advisory role to the Wallace Group. Volleyball England are one of our UK National Governing Body (NGB) partners who work alongside the Volunteer Zambia project to deliver sustainable development practises around the capital city of Lusaka. They work with Sport In Action and the Volleyball Association of Zambia to develop teams and training sites across the country. 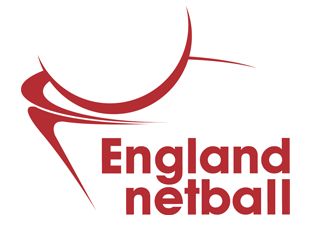 England netball are a UK NGO who work alongside our project to deliver sustainable development practises around the capital city of Lusaka. They work with Sport In Action and the Netball Association of Zambia to develop teams and training sites across Zambia.